A True Crowdpleaser! This Brand New Game allows 4 players to compete at once! Who will be the last one standing? 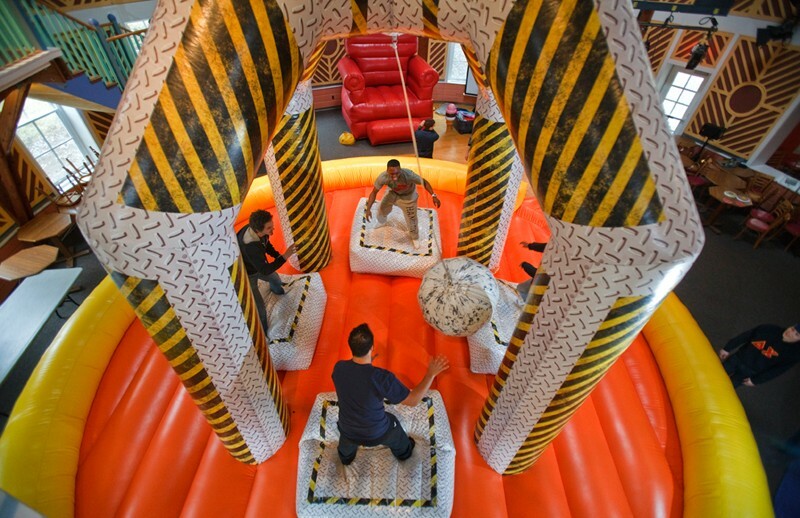 Climb on a pedestal and swing the giant soft foam padded wrecking ball towards your competitor and try to knock them off. Everyone will be laughing so hard that they won't be able to stand anymore. 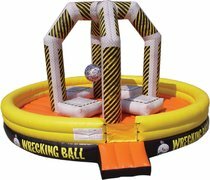 This safe & fun game features a soft foam padded wrecking ball, soft landing pad, and also includes 4 helmets for hours of safe play. 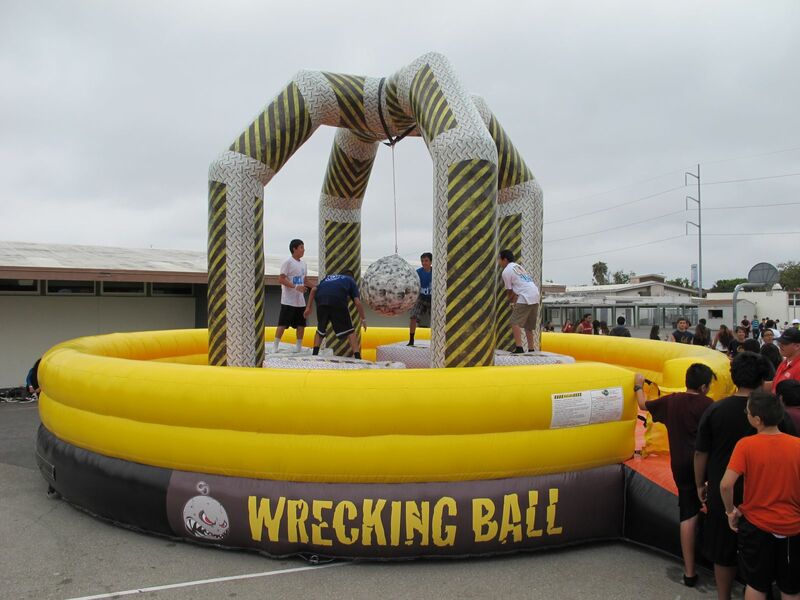 The wrecking ball inflatable is great for all events and especially large events that want to impress! Minimum height for participants is 42 inches tall. Maximum weight for participants is 225lbs. 4 Players at a time! Reserve The Wrecking Ball Today!